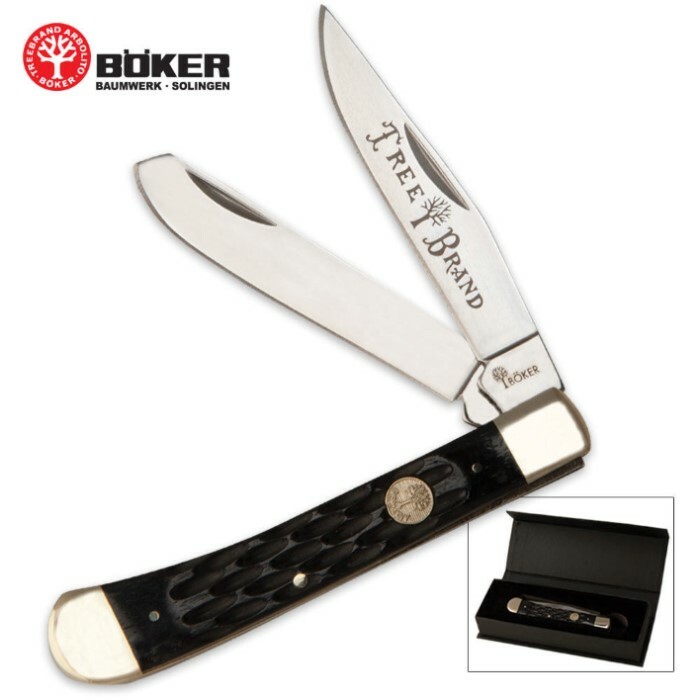 Boker Tree Brand Black Bone Trapper Pocket Knife | BUDK.com - Knives & Swords At The Lowest Prices! This new series of traditional pocket knives offers all the best components, featuring bone scales, nickel silver bolsters, brass linings and high carbon stainless steel blades. This trapper knife has jigged black bone handle scales. This knife is for those who don't mind using two hands. this knife is excellent! quality is of the highest. it is comparable to other famous make knife companies..you won't be dissapointed. kennesaw gives a great guarantee.